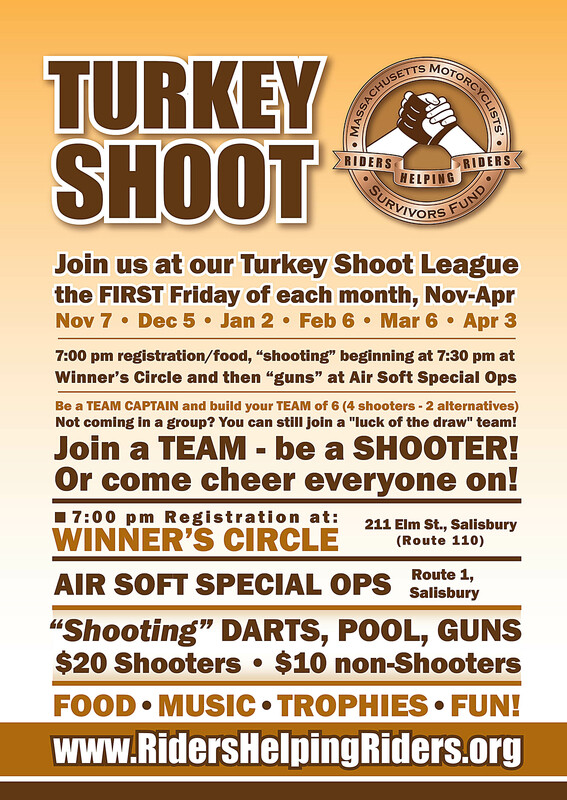 Join us the first Friday of every month between November 2014 and April 2015 for the Fourth Annual MMSF Turkey Shoot League (Nov 7th, Dec 5th, Jan 2nd, Feb 6th, Mar 6th, Apr 3rd). Each night is a ‘triathlon’ of Darts, Pool & Pistols, and will be held at The Winner’s Circle (211 Elm Street, Salisbury) and Air Soft Special Ops (124 Lafayette Road, Salisbury). Registration and food starts at 7:00pm at The Winner’s Circle, and the “shooting” begins at 7:30pm.